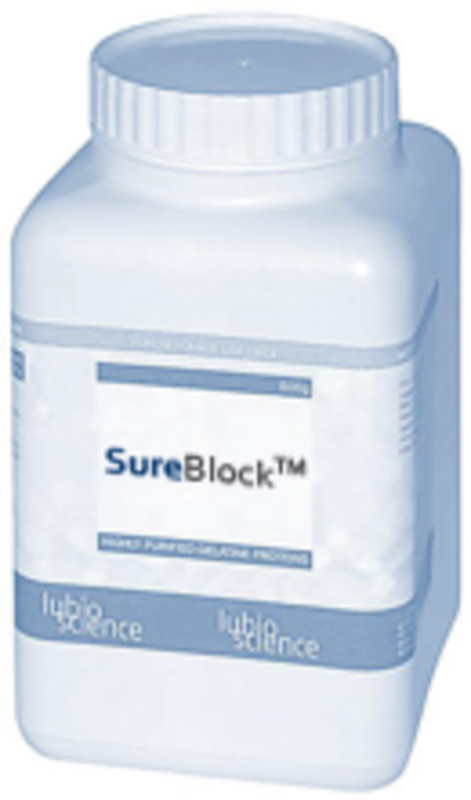 SureBlock™ is a bovine gelatine-based blocking agent for various applications, including Western blotting. Compared to BSA, it is more economical, has a higher blocking capacity and less background. SureBlock™ is a replacement for our previous TopBlock products (TB232010) and is identical in chemical composition and formulation. Since its introduction, the GOBlot™ Western Blot Processor has saved an estimated and collective 40'000 hours of valuable research time. GOBlot™ is a reliable fluid delivery device for reproducibly probing blots and membranes with primary and secondary antibodies in a fully automated fashion. Prefill buffer and antibody solution tanks, place your membrane and walk away. The GOBlot™ Western Blot Processor allows the operator to load up of their own membranes, add their blocking solution, primary and secondary antibodies. Plus, you can easily recycle your primary antibody. Choose from the four pre-loaded routines.Then press the start button and walk away. Return after four hours to develop your blot using fluorescence, chemiluminescence or another method of detection. The machine is designed to be modular and economical so that you utilize multiple machines running at different times with different routines and different antibodies. In other words, it’s very flexible for multiple users. Also, being modular means that you can add new units when the budget allows or your project demands it. How does it work? Watch Cytoskeleton's introduction to the GOBlot™!